Have you ever had a Top 40 song stuck in your head all day? Imagine if there was a trick like that for every piece of English you’d like to teach …. Songs are always said to be one of the best ways to teach English. But I always found that most English songs were way too difficult for younger learners, took ages to teach and often contained lyrics that weren’t very useful. How often have you used “twinkle, twinkle” in a conversation? I also found that my kids were forgetting everything by the next lesson. So I simply took the target English of my lessons and made them into fun, catchy songs with actions and really addictive melodies. The kids loved them and remembered the English! These songs have been featured on TV, radio and in countless classrooms all over the world. The British Council have licensed them and the Thailand government has put them into every school in their country. “The Last Samurai” movie star Koyuki even used them in her TV series! 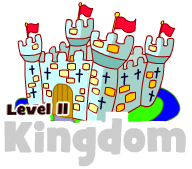 Each song has its own dance or game or can be combined with any of the game ideas on this site to make English really come alive. They are a great way to introduce new ideas, to review lessons or even spice up a boring textbook. I’m a superhero! I can…. How do you say ? What’s your favourite … ? Adjectives: I have a question! Adjectives: It’s not bad, it’s good! Prepositions: Where is the spider? Prepositions: Where is Mr Monkey? What do you think of … ? Baby Dinosaur, what did you do? Who is in the haunted house? What would you like for Xmas? super new instant Teacher’s Set Download Pack! Excuse me, where’s the … ? I have to … I can! Don’t forget the FREE Downloadable picture cards for each theme + Free access to the VIP Owners Club with the Instant Download Pack! Have a try in your lessons. These are very special & fast songs. So to get the maximum effect, follow the 3 step plan. 1) Teach the new words. But it’s not just singing. Each song has gestures or actions to make them even better. Click the song titles to the left to see the lesson plans or try the free sample. If you order the Teacher’s Set, you not only get the animations, songs and mini lessons you also get access to the “VIP Owners Club” area of this website. Here you’ll find 100s of A4 picture cards, “mini cards”, extra worksheets, extra audio files and even bonus themes and songs to download. You get the mp3 songs, audio “mini lessons” and karaoke versions of the songs. But you you also get interactive pronunciation guides, illustrated mini lessons, illustrated songs and computer games. The kids can learn the meaning of the words by moving the mouse over them, hearing them pronounced and seeing how the graphics respond. This is great if you teach in a school and wish to use the computer room (this is the Playstation generation after all!) and for private lessons putting the kids on the computer is a refreshing break in the lesson. The games and pronunciation guides also mean kids can learn at home ( they are great as homework – we have discounts for bulk purchases). For teachers who aren’t confident in English they are also an amazing help. If you’re lucky enough to have an interactive smartboard Genki English is the perfect accompaniment. “Genki songs really help with learning new vocabulary and make it really fun. Kids are always asking to redo the songs.” – Carolyn, Corsica France. These songs have really strong melodies – they’ll stick in your head all day. The cool thing is that the target English gets stuck in there as well, it’s great to see the kids singing the songs on their way from school. 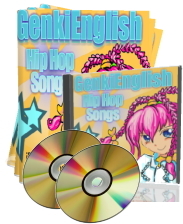 The software is a great way for kids to practice the English used in the songs. The best thing is that kids learn at their own speed, there’s nothing stopping one of your kids playing the phrase “it’s rainy!” a million times, until they get it right. It’s also a brilliant way for them to practice English as homework – only this time it’s fun! These songs really work, that’s why they are used by thousands of teachers all over the World. The key is it saves you time and gives the kids a goal in each lesson. The target English is decided, the games, activities and gestures are suggested and there are even free flashcards for most of the songs on the website. This is the way to get your students motivated, remembering the English and wanting to learn more! Whilst many teachers pay for Genki English from their own pocket, and are very happy doing so, many others have it bought for them by their school. We can provide email receipts to any country. If you’re in Japan, sometimes schools only deal with their local “gyousha” or school supplier. We have connections with gyousha in every prefecture, simply ask your school to get in touch. Usually when schools say “we have no budget” what they really mean is that they don’t know how to describe the problem of only being able to buy from approved “gyousha”. Mrs Abe is our lady to speak to (in Japanese Tel: 0898-48-0256) and she’ll sort out all the paperwork. In Japan we also have bank transfer payments available for elementary schools and can provide all the myriad of different receipts that schools and boards of education often require. Or if you would like to order the songs for your students, check out our Homework Programme. If you have any questions or problems I will do my best to provide you with as much information as I can to make your lessons as effective and fun as possible. Simply contact me with any questions or problems. There are also lesson plans ideas available for nearly all the songs – click on the song titles at the top of this page. Also check out the VIP Owners Club. The packs are how we fund this website, so we want to make sure that you enjoy teaching with your Genki English as much as we do! Buy the Teacher’s Set and give your kids a really fun lesson!